Fire suppression costs make up about 9 percent of the total costs of wildfires, the agency said. Much higher are the costs of lost business, infrastructure, habitat, timber, grazing, and agriculture resources, disaster recovery, and health impacts, DNR said. ... Bogle is still a hero of mine, because he provided an honest product and was motivated by a sincere desire to help people. And he should be a hero to all, because he showed that markets eventually recognize integrity. Those are interesting paragraphs, but let's flesh them out just a bit. Japan was doing very well until the Washington Consensus forced Japan to stop using the very method that led to Japan's astounding growth rate: a wartime footing even during peacetime. The US insisted Japan accept more libertarian-capitalist tendencies. Japan obliged, and has suffered for it ever since. Would Russia be even better now had the tax rate been more egalitarian all along and were the Russian economy on a wartime footing? Of course. So would the USA were our rate more egalitarian and were we on a wartime footing (meaning Keynesian but for the non-military public sector because we really aren't in a world war needing all the military spending at the level that went on during WWII). "It's scary," Scott Minerd, global chief investment officer for $265 billion Guggenheim Partners, said in an interview. "By the time we get to the presidential election, this is going to gain more momentum," said Minerd, who added that he would probably be personally impacted by it. "And I think the likelihood that a 70 percent tax rate, or something like that, becomes policy is actually very real." I don't sympathize with him at all on it. I figure there are thousands of hardworking landlords who are anti-slumlords who could tell him a thing or two about just how scary it is for tenants who work but find it extremely difficult to meet the most basic necessities of life. A 70% tax on incomes above 10 million isn't scary. It's something that 99+ % of the population would love to be facing compared to what they are living every single day. Working with Jane and her family attorney, we recommended setting up an irrevocable trust with retained powers. This was a strategy to help Jane get the best of both worlds by creating some protection for the property transfer, while at the same time minimizing future taxes. With an irrevocable trust, her dad could move the property into the trust right away while maintaining certain rights. Upon his passing, the property could then be transferred from the trust to Jane, and she would get the step-up basis to fair market value on the date her dad passed away. Trees fell around here in the last wind storm. One of them landed on my car. Fortunately, it was the top of the tree and not the trunk. The chainsaws have been running almost daily here since early last week. The forest I used to see when looking out my kitchen window is now nearly completely gone. The entire next door lot has been clearcut. I'm not sure whether it's to avoid a future negligence claim or to ready the lot for development or both. Naturally, we can't simply cut down all the trees because winds come. However, we must inspect trees and the ground they're in and consider other factors so people don't die who would otherwise live. When we were removing the tree from my car, we all said how thankful we are that it didn't land on anyone and that nobody got hurt. By the way, the damage to the car was not completely minor, but it's certainly fixable. The Global Warming issue is far from solely about sea levels too. The rate at which humanity will have to scramble around and to build more and more fortified structures and deal with pollution spreading from what was once containment will continually increase. We absolutely must reverse the warming. 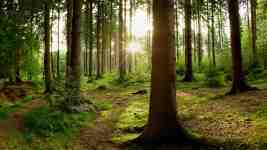 We must slash and eliminate carbon burning while ramping up capturing/sequestering carbon already released. Do you think Blackstone's CEO, Stephen Schwarzman, would be turned into a pauper if he were taxed 70% on $776 million? I didn't think so. Do you think he's really worth that much just because that's how much he can pay himself? Is the US economy really better off by leaving him to keep as much as he wants, and can, rather than in having a progressive tax rate that's rather middle of the road by 20th-century standards, when the US was doing better than ever? One can be for the business of real estate and for the environment: against doing nothing about carbon-burning caused global warming. ... with important consumer and producer countries such as the US and Brazil under climate-change-sceptical leaderships, the onus falls increasingly on other sections of society. If you want a functioning economy, you need to stand up against global-warming denial. The planet is warming, and it is due to carbon burning. That's a fact, not a theory. Scientist Zeke Hausfather explains a new study showing oceans are warming 40% faster than the IPCC estimated. U.S. GDP accounting underestimates intangible capital, overstates financial capital, and is all but oblivious to the erosion of human and social capital. Peter Temin, the Elisha Gray II Professor Emeritus of Economics at the Massachusetts Institute of Technology, discusses his new INET paper, "Finance in Economic Growth: Eating the Family Cow." The situation is complicated by the fact that global warming is expanding flood zones. People didn't know that was going to happen when they bought their homes and properties. We have to stop global warming while we backstop ourselves and move ourselves out of harm's way. We can't simply turn everything over to the private sector if that means leaving people literally under water who did everything correctly but couldn't control the trajectory of global warming from carbon burning. The last two years suggest that drones and aerial-imagery will soon become commonplace after catastrophes, as well is in other areas for the insurance industry. Are your tenants being ripped off by their employers, thereby, making it harder for your tenants to pay you rent? Wage theft—including overtime violations, forcing workers to labor off-the-clock, misclassifying workers as independent contractors, and stealing tips from tipped workers—has been a significant problem for low-wage workers for a long time, including for those who work at large companies. ... a neoliberal belief that cutting top rates would lead to more dynamic CEOs who would produce more dynamic companies, and the benefits of this would trickle down to the economy as a whole. Low top tax rates would encourage entrepreneurs to take more risks that were socially beneficial and so on. The argument is so familiar, trotted out routinely by right wing think tanks, it hardly needs elaborating. It is a classic example of neoliberals using a bit of simple economics to justify policy that is advantageous to themselves or their paymasters. ... Piketty, Saez and Stantcheva have argued that giving CEOs lots of money can have negative incentive effects. The CEOs start putting effort into increasing their salary rather than improving their firm. Part of your status comes from what you can afford. When all CEOs are taxed a lot at the margin the size of your salary has little impact on that, but when your salary is not taxed so much you can increase your salary and theefore status by extracting more from your own firm. To use some economics jargon, a low marginal tax rate on top incomes can be a good example of an incentive for rent extraction rather than an incentive for increasing social output. ... High salaries are associated with activities, like finance and law, that have what economists would call negative externalities, which means that they do much less good for society than the size of the salaries they pay might suggest. A lot of finance, for example, is about trying to take money off other people rather than growing the size of the overall pie. If high post-tax salaries incentivise talented people into those professions, that is negative for society, which would benefit if they worked in different jobs. You can reduce this misallocation of talent by having higher tax rates on top incomes. ... Because money can also help to buy votes, that plutocracy may also be able to continue with democratic elections without in any way threatening the plutocracy. Even when you have laws limiting the amount that can be spent on elections, the UK shows there are ways for the rich to get around that, particularly if they control large sections of the press. Only in passing, and probably on the margins of the official program, will the global elites gathered in Davos get into a discussion of the tremendous monopoly and monopsony power their companies have. Neither will they publicly mention companies' ability to play one jurisdiction against another in order to avoid taxes, ban organized labor within their ranks, use government ambulance services to carry workers who have fainted from the heat (to save expenses on air conditioning), make their workforce complement its wages through private charity donations, or perhaps pay an average tax rate of between 0-12 percent. Some participants, if they are from the emerging market economies, can also exchange experiences on how to delay payments of wages for several months while investing these funds at high interests rates, save on labor protection standards, or buy privatized companies for a song and then set up shell companies in the Caribbean or Channel Islands. ... the solution to global warming must also include programs and policies that will scale up regenerative farming and land use as a means of drawing down and naturally sequestering carbon in healthy soils. The majority of the GND's backers, the mass media and to a large extent the alternative and progressive media, consistently portray the GND almost exclusively as a plan to address global warming and jobs creation by rapidly transitioning the U.S. away from fossil fuels and toward clean energy. We believe it's critical that "funding massive drawdown of greenhouse gases" includes funding the large-scale transition to organic regenerative agriculture and land-use which we already know is capable of drawing down excess carbon from the atmosphere. What is feasible? Achieving net zero emissions—through a combination of reducing emissions by transitioning to renewable energy and drawing down CO2 from the atmosphere, using the power of regenerative agriculture and land-use practices, including reforestation, wetlands restoration, and restoring prairies and grasslands. In addition to benefiting farmers, farm and food workers and consumers, this new regenerative food economy will emit lower emissions than the industrial food system while at the same time building healthy organic soils to provide a natural carbon sink. Higher taxes would provide part, but not all, of the funding needed to implement the GND's policies and programs. The GND draft resolution should include, like the original New Deal, according to Ellen Brown, chairman of the Public Banking Institute and author of 12 books, "using a combination of the Federal Reserve, a new public bank or system of regional and specialized public banks, public venture funds and such other vehicles or structures that the select committee deems appropriate, in order to ensure that interest and other investment returns generated from public investments made in connection with the Plan will be returned to the treasury, reduce taxpayer burden and allow for more investment." The Green New Deal (GND) is modeled in part after Franklin D. Roosevelt's New Deal, a series of programs, public work projects, financial reforms and regulations enacted by then-President Roosevelt between 1933 and 1941. Roosevelt's New Deal was credited in part with restoring prosperity in the U.S. following the Great Depression of the 1930s. The idea of a "Green" New Deal is more recent, but not entirely new. Tom Friedman called for a "Green New Deal" in 2007. He later expanded on the idea in his book, "Hot, Flat and Crowded." According to Friedman, Barack Obama made a "Green New Deal" part of his 2008 platform, "but the idea just never took off." In 2009, the United Nations drafted a report calling for a "Global Green New Deal" to focus government stimulus on renewable energy projects. The idea that agriculture should play a role in any Green New Deal isn't new, either. In May 2012, the European Green Party published a policy paper entitled, "The Agricultural Dimension of the Green New Deal: Towards Sustainable Agriculture as the Rule." Its authors made the case that a "Green New Deal" that included a transition to sustainable agriculture was needed to address the multiple economic, social, environmental and ideological crises facing Europe—including the "deepening of social inequalities, the depletion of natural resources, the ongoing problems with poverty and hunger and more broadly the increasing societal unease with the fast pace of globalisation." 1. Subsidies, tax, and marketing incentives for farmers, ranchers, and other land managers to improve soil health, increase soil carbon, adopt agroecological and regenerative practices (no till, crop rotation, cover crops, planned rotational grazing, agroforestry, silvopasture) and other forms of ecosystem and watershed restoration. 2. Support for farmers to make the often difficult, multi-year transition to certified organic, holistic livestock management, and regenerative practices. 3. Changes in regulations making it easier for regenerative and transition to regenerative farmers (especially small producers) to process and sell their products, for example meat and dairy products, not only locally (direct to consumer, retail, wholesale, institutional) but across state lines, regionally and nationally as well. 4. Public investment (and incentives for private investment) in regenerative food and farming infrastructure such as farmer's markets, food hubs, processing facilities, storage facilities, marketing co-ops, and farmer training centers. 5. Loan programs and loan guarantees for land acquisition or leasing and infrastructure improvement for individual farms, ranches, and urban agriculture projects. 6. Support for public procurement by government agencies and public institutions for organic and regenerative food and other products. Governments around the world spend trillions of dollars a year on public procurement, a significant percentage of which are food, fiber, and other agricultural products. 7. Support for school and campus organic gardens, local farm-to-table cafeteria food policies, and development of school and university curriculum to stimulate student awareness and provide hands-on experience in regenerative food, farming, and land restoration practices, as well as food preparation, cooking, and nutrition education. 8. Subsidies for programs to provide jobs and job training in regenerative food and farming projects for youth and disadvantaged groups such as unemployed workers, women, and immigrants. 9. Taxes on carbon-emitters and agro-chemical companies to subsidize regenerative practices and projects. 10. Elimination of subsidies for degenerative energy, food, farming, and land use practices. 11. Lobbying cities, states, regions, and nations to sign on and begin to implement the global "Four for 1000: Soils for Food Security and Climate" Initiative to sequester excess atmospheric carbon and reverse global warming. Over three dozen nations, California, and a growing number of municipalities have already signed on to the 4/1000 Initiative. Little did President Trump realize that when he wished for some global warming that it would hit Australia. The back-to-back heatwaves are part of a summer that the Bureau of Meteorology predicted as being hotter and drier than average, partially as a result of climate change. Shaxson challenges the fundamental notion of 'investment' in modern finance, showing that what is really happening under its guise is the extraction of wealth, rather than its replenishment or wider distribution. In stark contrast, finance textbooks rarely mention the power and exploitation of finance or the concept of extraction, and celebrate tax avoidance and 'optimisation' as a means of profit maximisation. Our analysis supports advocates of greater income and / or government support for the poor who use a larger fraction of income for consumption. This promotes investment due to the growth in expenditures. May I say, "Duh." I'm not putting down the article. The article is headed in the right direction. I'm simply saying that I've been saying the same thing as the article for more years than I can remember. May I say, "Told ya so." Bivens calculates that for every 100 jobs lost in durable manufacturing, there are 744.1 indirect jobs lost. For comparison, the number of indirect jobs lost per 100 retail trade jobs is just 122.1. That's exactly why I said we shouldn't have let all of our manufacturing jobs leave the country. We should have embarked upon a national industrial policy putting a green economy first without losing manufacturing. That's what I was for before NAFTA. The National Development and Reform Commission suspended approvals of urban transit projects in August 2017. But in the second half of last year — primarily in December — the Commission gave seven major Chinese cities the green light for such projects, Nomura's chief China economist Ting Lu and his team pointed out in a Jan. 18 report. As of publication, total investments into such projects reached 714.2 billion yuan ($105 billion), the report noted. "The acceleration in the pace of these project approvals suggests that Beijing has become more concerned with the economic slowdown and is keen to pick up urban transit investment (a key portion of infrastructure investment) to increase demand and stabilise economic growth," Lu said in the report. I wasted no time implementing a very basic marketing plan to increase occupancy. Having come from the single-family world where marketing is our lifeblood, it seemed like a no-brainer to start with the basics: a website, pay-per-click ads, bandit signs, and regular Craigslist ads using a virtual assistant. 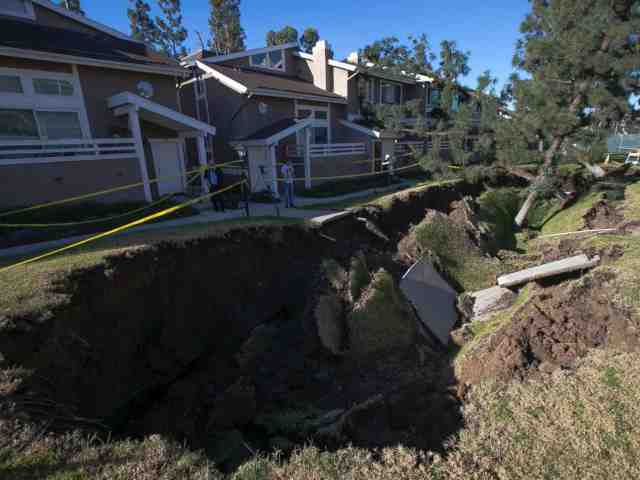 Our assumption that the property was under-performing was quickly confirmed. Simply by implementing this very basic marketing plan, our occupancy increased from 65% to 85% in the first two months! Over the course of the next two years, we continued to maximize revenue on the property and drove occupancy all the way up to 99%. In a sane world, Ellen Brown would be America's banking Tsar. I'd tweak some of her ideas, but she's not close minded. I remember when it wasn't safe for her to be completely open. In fact, I once told her she was slightly premature concerning one of her draft articles because the banksters were still holding too much sway and would keep her basic public-banking idea from getting a hearing by denouncing it as Bolshevism, which of course Ellen's ideas and plans had, and still have, nothing whatsoever to do with. If you think I'm exaggerating, I was once blocked in a Monetary and Banking Reform forum for putting forth democracy and also literally shunned in a Modern Monetary Theory form for the same reason. I'm glad to say that now Ellen can speak her mind without being completely closed off. She still doesn't get the hearing she deserves, but at least we're over the hump. AOC has proved that. 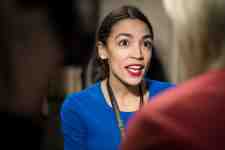 The Green New Deal endorsed by Alexandria Ocasio-Cortez and more than 40 other US Representatives has been criticized as imposing a too-heavy burden on the rich and upper-middle-class taxpayers who will have to pay for it, but taxing the rich is not what the Green New Deal resolution proposes. It says funding will come primarily from certain public agencies, including the Federal Reserve and "a new public bank or system of regional and specialized public banks." Funding through the Federal Reserve may be controversial, but establishing a national public infrastructure and development bank should be a no-brainer. The real question is why we don't already have one, like China, Germany, and other countries that are running circles around us in infrastructure development. ... the Reconstruction Finance Corporation (RFC) in funding the New Deal in the 1930s. At that time US banks were bankrupt and incapable of financing the country's recovery. Roosevelt attemp ted to set up a system of 12 public "industrial banks" through the Federal Reserve, but the measure failed; so he made an end run around his opponents by using the RFC that had been set up earlier by President Hoover, expanding it to address the nation's financing needs. The RFC Act of 1932 provided the RFC with capital stock of $500 million and the authority to extend credit up to $1.5 billion (subsequently increased several times). With those resources, from 1932 to 1957 the RFC loaned or invested more than $40 billion. As with KfW's loans, its funding source was the sale of bonds, mostly to the Treasury itself. Proceeds from the loans repaid the bonds, leaving the RFC with a net profit. The RFC financed roads, bridges, dams, post offices, universities, electrical power, mortgages, farms, and much more; and it funded all this while generating income for the government. The RFC was so successful that it became America's largest corporation and the world's largest banking organization. Its success may have been its nemesis. Without the emergencies of depression and war, it was a too-powerful competitor of the private banking establishment; and in 1957, it was disbanded under President Eisenhower. The United States was left without a development bank, while Germany and other countries were hitting the ground running with theirs. The problem with the anarchists who push Bitcoin is that they don't understand that there is anarchy and then there is anarchy. The first form is simply anti-government. The second form understands that real freedom is having the law written on one's heart. That law is government. It sounds contradictory; but, I assure you, it is not. The issue lies in the definition of government. The first form is fallible human-government due to the lack of perception and transparency. The second form is not lacking transparency and, therefore, develops perception. It is for this reason that Bitcoin is inherently evil. The linked article is long, detailed, and based upon flawed ideology. Nevertheless, I suggest you read it, as I did. The resident retention rate of 52.5% in 2018 bumped up from 51.7% in 2017, returning to the all-time high set in 2015. AI and automation, bring it on. I don't care if every single person is put out of mandatory work by it. In fact, I'm looking forward to it. If you're wondering what people will do for money to pay for things, don't worry about it. We will create the money out of thin air, as we do right now, and simply give it out according to need and then some. If we do things as we should, as we are supposed to, we will no longer have the poor with us. We will have eliminated poverty. We could have already done it, but AI is simply going to force the issue. Resistance is futile; and, this time, it's a good thing. The city created and preserved 34,160 affordable homes in 2018 alone, 40 percent more than the record set last year, Mayor Bill de Blasio announced on Wednesday. And, according to the mayor, 10,099 new homes were financed last year, another record for new construction in the city. The additional homes fall under de Blasio's Housing New York 2.0, which aims to create and preserve 300,000 affordable homes by 2026. To date, the housing plan has helped finance nearly 122,000 affordable apartments since 2014. The new rules are complicated, so I'm including various articles on them. Is this the Accountants' Employment-Guarantee Act? And you thought insurance was complicated. Airbnb is a hugely mixed bag. If properly regulated, it could be a fair and decent balance between huge corporations monopolizing the hotel and motel sectors and regular home owners having some freedom over renting out space in their homes for travelers. If not properly regulated, it becomes chaos, not freedom. By the way, Airbnb is not some part of any sharing economy. Sharing isn't something an owner does for rental income. Airbnb isn't sharing your home with someone. It's renting part or all of what you own. Apartment complexes aren't just larger sharing efforts. They're larger renting efforts. So let's stop all the "sharing economy" nonsense, shall we. It's a euphemism. Real sharing is exactly why the anarcho-capitalists, the laissez-faire capitalists, co-opted and twisted the term "sharing." The sharing economy is a well-documented principle going back centuries that has zero to do with renting and everything to do with sharing something without gain for doing so other than giving (not taking). The anarcho-capitalists don't want real sharing to be the meme. It ruins their neofeudalist efforts. Airbnb wanted to corner a market it created and then make the maximum profit without oversight (chaos). Uber and its mimics are the same only in taxiing people around. It's all been just like wage slavery without the wages because who's an employee? Well, it's become clear that Uber-drivers are taxi drivers working for Uber just as much as Yellow Cab drivers work for Yellow Cab. They need the same protections. A recent report by a Toronto public interest group, Fairbnb, has added a local voice to the growing international chorus of concern about the impact of Airbnb on housing. It is now clear that a single American company has upended local markets, pushed rental prices skyward and could be contributing to poverty, especially in cities popular with tourists. Toronto City Council was slow to recognize the dangers posed by Airbnb, not only to unionized hotel workers but also to the million-plus tenants who need stable and affordable accommodation. "The entire ecosystem is affected," she said, bringing economic hardship for local communities and, for example, a proliferation of disease-bearing insects. "Even if it was just sand, the volume is gigantic," said Carlos Rittl, a director at the Observatorio do Clima, a network of 43 nonprofits in Brazil. "There is a very fine residue (of iron oxide) that will be deposited on the bed of the river." That means each time it rains heavily in the future, the iron ore deposit will be churned back up to the surface and contaminate the river again, experts say. Officials at the Brazilian Environment Ministry could not immediately be reached for comment at the weekend. In what is regarded as the worst environmental disaster in Brazilian history, a dam jointly operated by Vale and BHP Billiton collapsed just over three years ago in the same state of Minas Gerais, killing 19 people. The accident at the Mariana mining site also drove hundreds of people from their homes, left 250,000 people without drinking water and killed thousands of fish. This entry was posted in All News & Research. Bookmark the permalink.